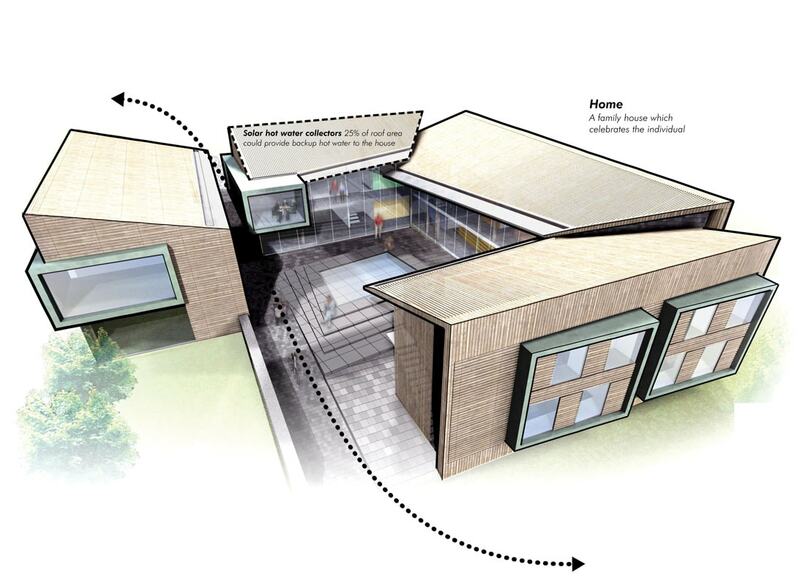 A competition entry for a sustainable residential campus, set amongst the landscape. This design proposal for four new student homes at Atlantic College was shortlisted in a recent RIBA international design competition. 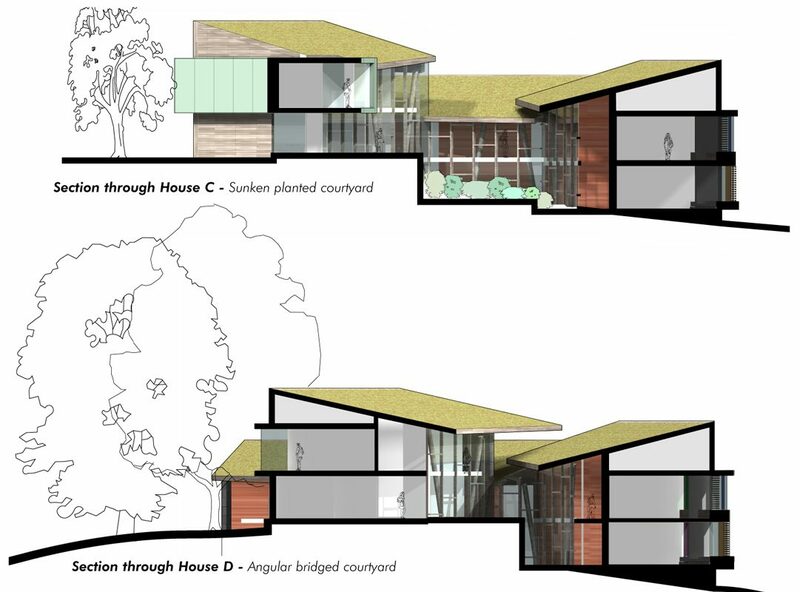 The proposal functions at 3 levels, the site, the house and finally the individual bedroom. 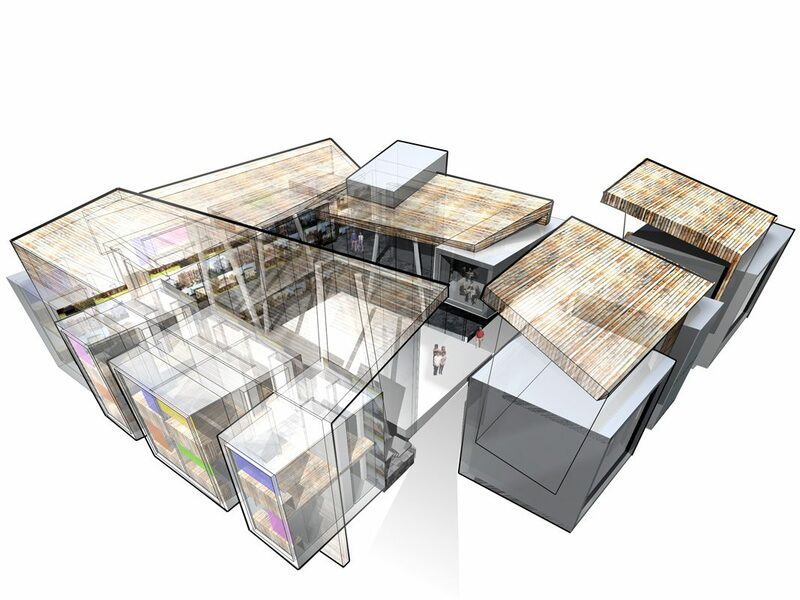 The approach to each of these reflects the practice’s definition of the project’s key organisational problem – that of arranging shared and private space. 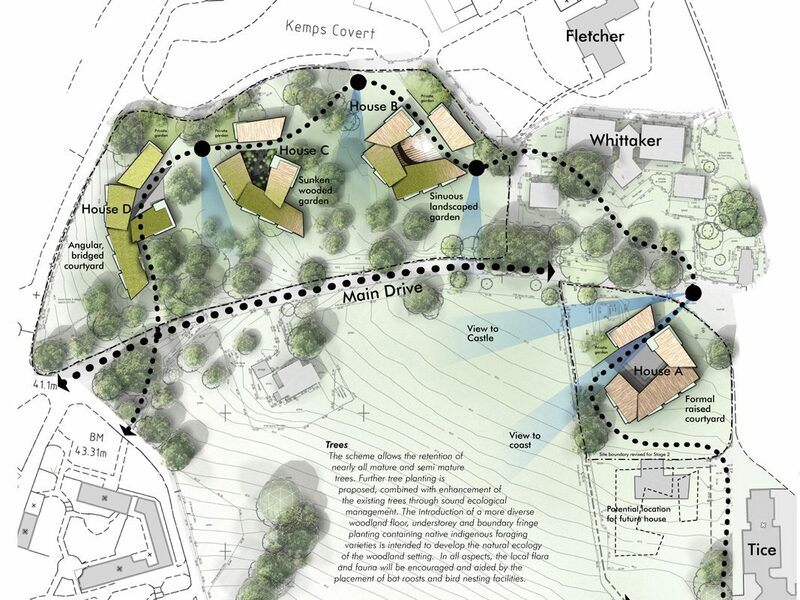 The site is defined by a meandering pathway linking all four houses at a level grade through the sloping site. This connects the individual social entities, running through each house’s courtyard to ensure a constant connection to the school family. 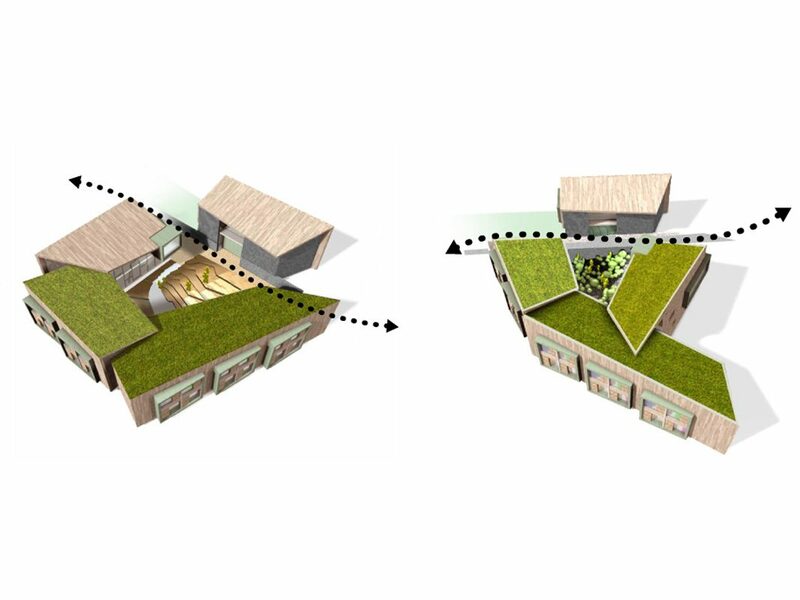 The path also creates a green link, forming a conduit for services and water harvesting, and creating the backbone of an environmentally integrated sustainable campus.